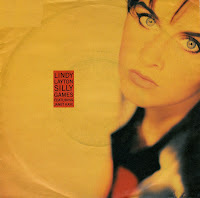 After the release of 'Silly games' Lindy Layton's debut album 'Pressure' (1991) followed. It was mostly produced by Norman Cook and Driza Bone. Her second solo single was 'Echo my heart', which peaked at number 42 in the UK. I didn't buy this single for a long time, despite the fact that the shop had it for months at the same price. In the end, my curiosity could no longer be contained. I bought the single but didn't play it very often. Lindy Layton was born on December 7, 1970. She was a founding member of the band Beats International, who scored a major hit with 'Dub be good to me' in 1990. 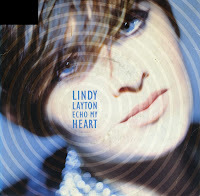 While in Beats International, Lindy also launched a solo career. Her debut single was 'Silly games', a cover of a song originally recorded by Janet Kay in 1979. While Kay reached number 2 in the UK singles chart in 1979, Layton only managed number 22 in 1990.